Spring is here, which means windows are open, letting in fresh air, flowery scents and bird songs! Oh, and it also means that the cross breezes make our doors slam shut way too often. Our doors have frosted glass centers, and every time one of them gets blown closed, I brace myself for the sound of broken glass. 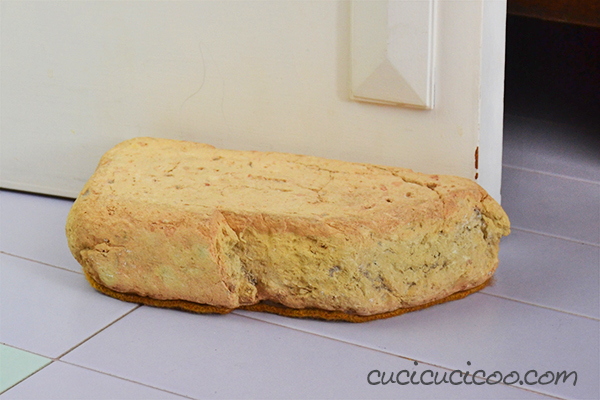 But last year I decided to use some repurposed items that we already had at home to make a DIY no-scratch rock doorstop for every room! 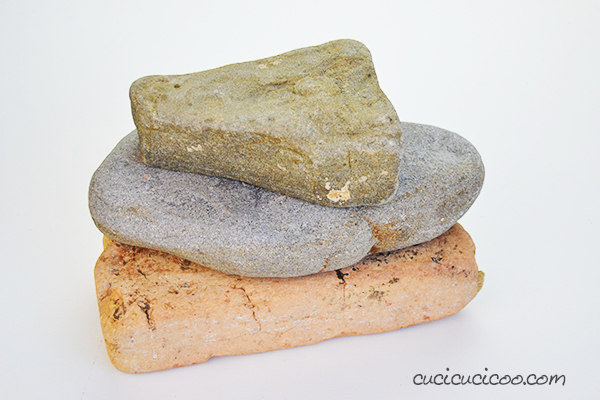 Relatively big and heavy rocks or water-worn bricks that our family had picked up from the beaches we go to. 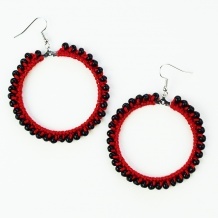 I had no idea what we’d ever use them for until it occurred to me that they’d be perfect for keeping our doors open! 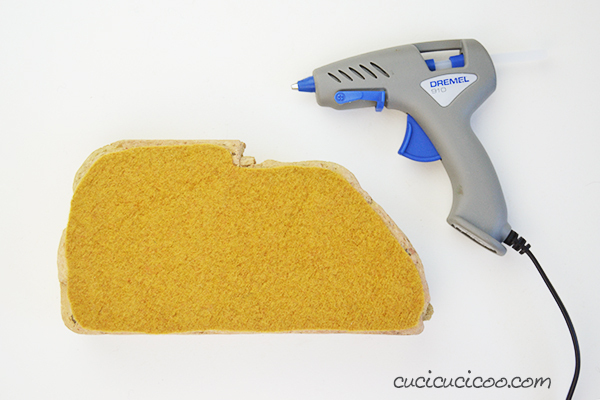 I didn’t want to risk scratching our tile floors, so I simply glued scraps of felted wool sweaters (which I always have on hand for other projects) to the bottom to make them gentle on our floors! 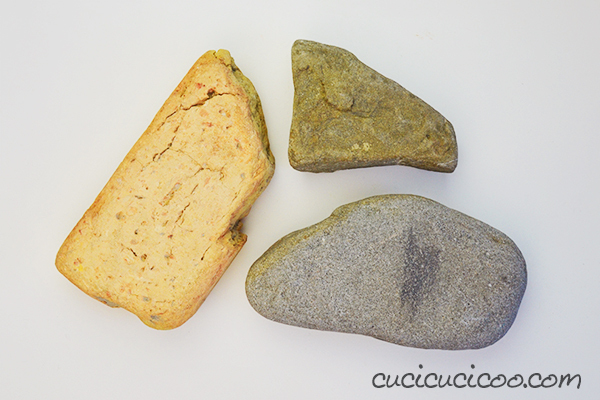 Such an easy and useful way to use those cool beach finds! And if you already have felted wool sweaters (or regular felt, if you prefer), it only takes about one minute to put these together! 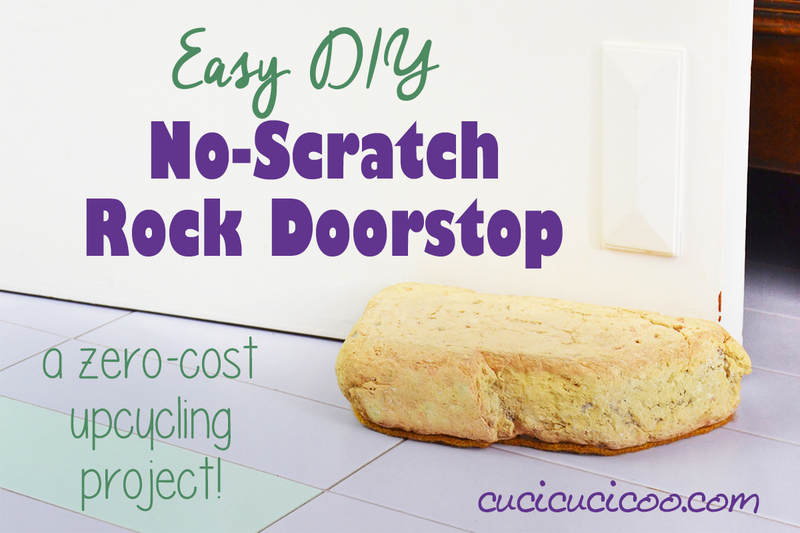 So, stop dealing with slamming doors and let’s get making your own DIY no-scratch rock doorstop! 1. 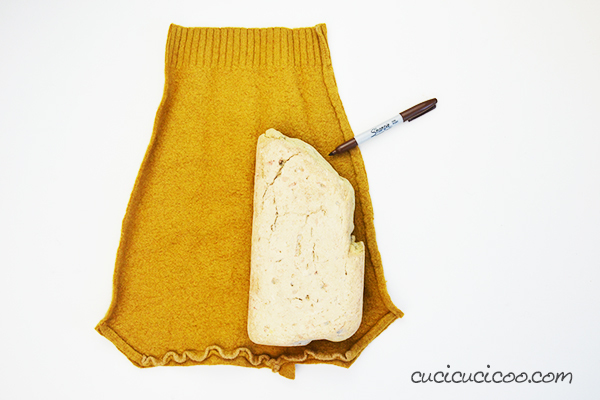 Trace around the base of the rock or brick with the permanent marker on the felt/wool. 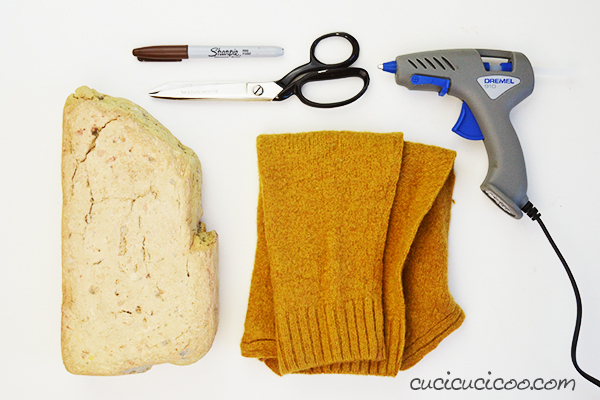 This project is a good way to use the sleeves of felted wool sweaters. Just cut down the underarm seam to open up the sleeve. 2. Cut inside the marker line. 3. Put the felt on the bottom of the rock/brick. If there are any parts that stick out beyond the edge, trim them. 4. 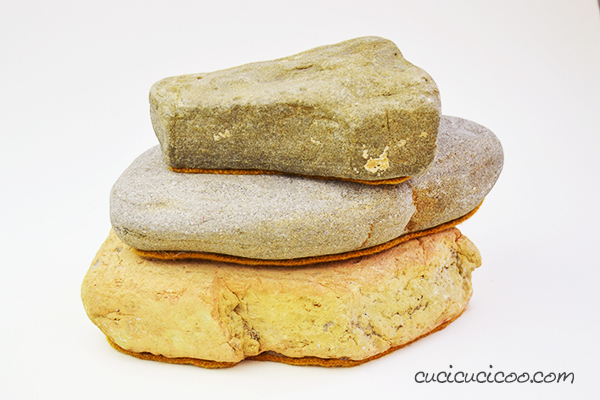 Apply glue to the bottom of the rock/brick, then stick the felt onto it. And that’s it! 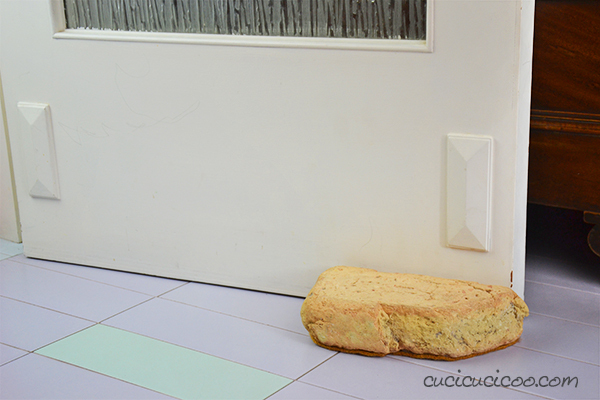 Admire your DIY no-scratch rock doorstop! How long did that take to make? I’m willing to bet that it didn’t take much longer than 60 seconds if you already had your fabric ready and glue gun heated up! 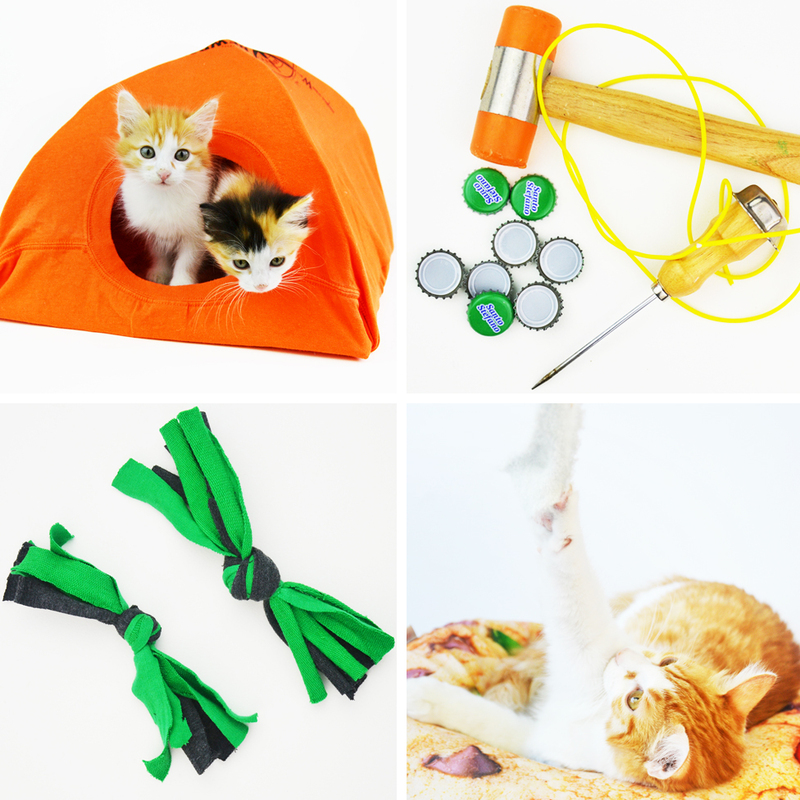 Place it on the floor against your door, and no more worries about ruined doors or floors! 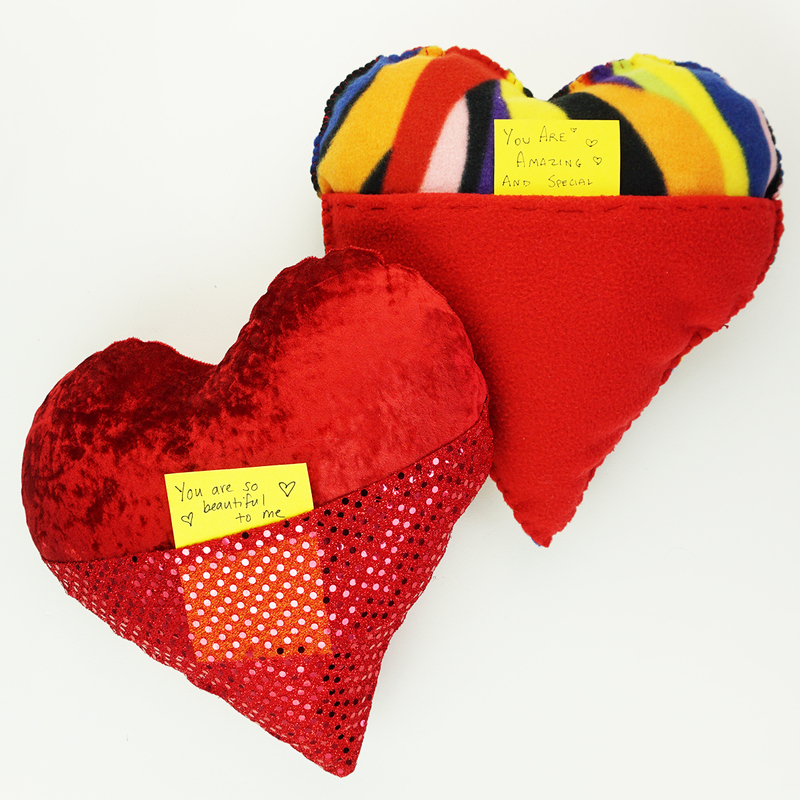 Now all that’s left to do is make one for each other room in your home! 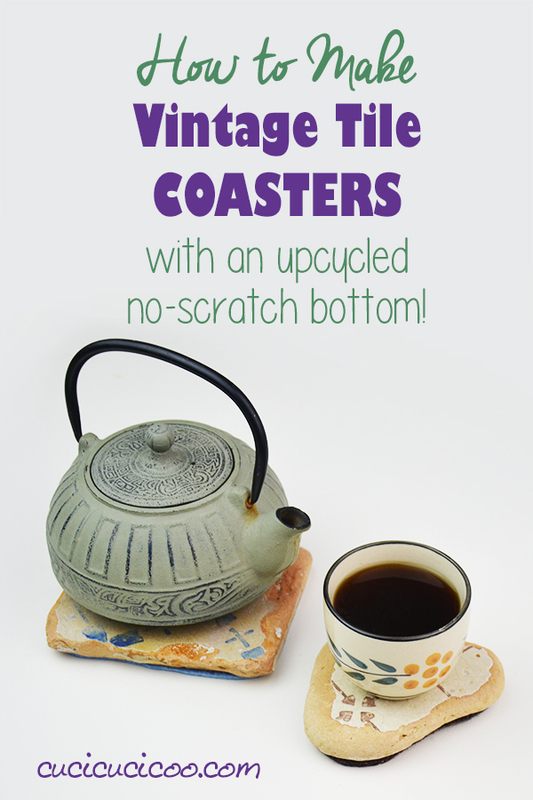 If you liked this idea for making a quick DIY no-scratch rock doorstop with beach rocks and felted wool sweaters, why not try this tutorial for making no-scratch coasters and trivets with vintage tiles or other beach finds? Bell’idea: sassoloni del genere ne ho anch’io non raccolti al mare ma, in montagna. Devo ricordare di non buttare i maglioni infeltriti nel sacchetto degli stracci!!! Great Idea! 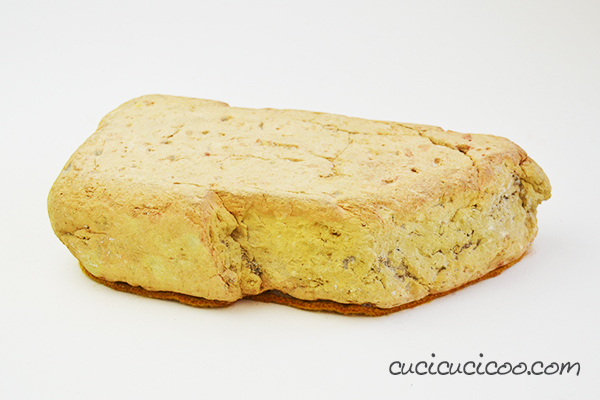 Your example looks like a crusty chunk of bread. Haha! A bunch of people said the same thing on Instagram, but I never would’ve even thought of that! Trust me, you don’t want to try to take a bite out of this! LOL!